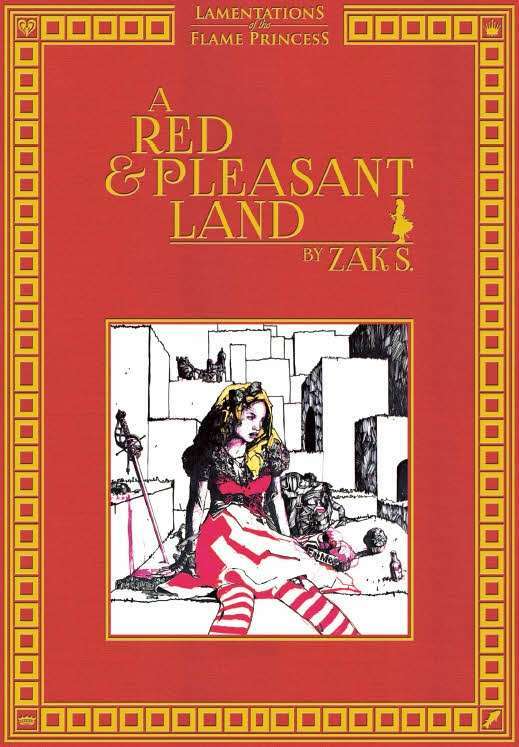 Review: A Red & Pleasant Land by Zak S.
Reviewing Zak’s work – when he strays into RPG territory – is difficult. Zak has an outsider’s perspective and so he does things in unconventional ways. He’s also primarily an artist, which brings a different perspective to game design. Vornheim was tricky to review, but less so than Red & Pleasant Land. Ostensibly its a setting book, a world for your Old School gaming. That’s not really a helpful thing to call it though, as it doesn’t convey what the book is. 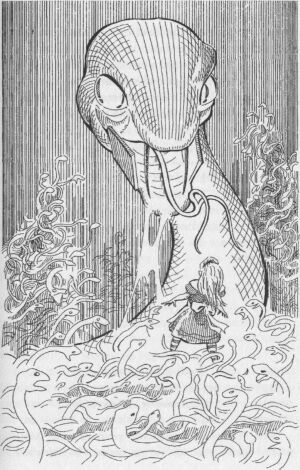 It’s a hodge-podge of nonsense and weirdness, tables, rules, asides, sketches, art, peculiar maps and so forth loosely connected by a theme that is a mash up of Alice in Wonderland, Balkan mythology and D&D. remembered version of the basic game that a lot of people started with back in the 80s. It’s like you and a bunch of friends got together with no plan, sank a few too many shots and someone suggested ‘Hey, let’s play D&D!’ and then through the drunken haze you cobble together something vaguely like it from memory and have a blast. Until you realise someone spiked the shots with acid. This isn’t really a setting book either, it’s more like a grab-bag, a lucky dip. It’s kind-of organised, it has a contents with page references organised – vaguely – along various lines. It’s full of tables of weirdness, motivations, searching bodies and pecularities which are great for inspiration but if you’re not that sort of ‘wing it’ Games Master they’re going to leave you floundering. The only product I’ve seen with even greater love of randomness is McKinney’s Carcosa. There’s always tensions in the design of an RPG book and each one generally operates to the detriment of the other. Do you want to write it to convey rules information effectively? Setting information? 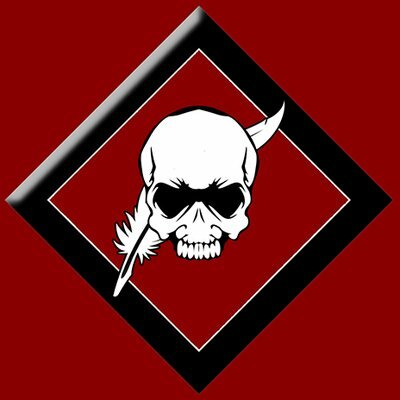 Do you want the reading experience to reflect that setting? Do you want to make it easy to spot things and look them up? Are practical and financial considerations the primary factor? How important is the art? RaPL definitely conveys the setting. Reading through it is a borderline-hallucinatory experience due to its randomness and grab-bag design. This doesn’t necessarily make it easy to use during play. The physical book has a built-in page marker, but as anyone who plays RPGs knows, a single ribbon is never going to be enough to place-mark everything you need to mark and they don’t – as far as I know – make the cat-o’-nine-tails, rainbow page ribbons an RPG book would need at a bare minimum to be useful. So usability suffers a bit, the D&D styling is minimal and will only be vaguely familiar to newer gamers, but is sort of the ‘machine-code’ base level operating system for all RPGs so with a little work they should be able to get it to purr along smoothly – it’s just that extra work that may not appeal to gamers pressed for prep-time (I’d probably convert to old-school Storyteller, D6 or FATE if I ran it). RaPL shines – particularly – in its monsters. Some of which are familiar from Alice’s adventures or vampiric mythology, some of which will be unfamiliar and new but which owe some inspiration to Burton, Gaiman, Mieville and other puveyors of weirdness, it’s just a lot more bloody and direct. So how can I sum up? Conveys the setting via its design and presentation. Novelty! Difference! Experiment! – Far more so than many Indie-darlings. Feels like reading a Burroughsian cut-up. Novelty! Difference! Experiment! – Not all of it works and the traditionally minded will be lost. Style: 4 (It’s a divisive style, it appeals to me greatly but I understand that it will be offputting to others). Substance: 4 (There’s a lot in here, much of it is useful, but the organisation can make it hard to access). I have illustrated this review with images from Jeff Noon’s Automated Alice, which added to the mix as inspiration would bring in some clock/steam/weirdpunk vibes.